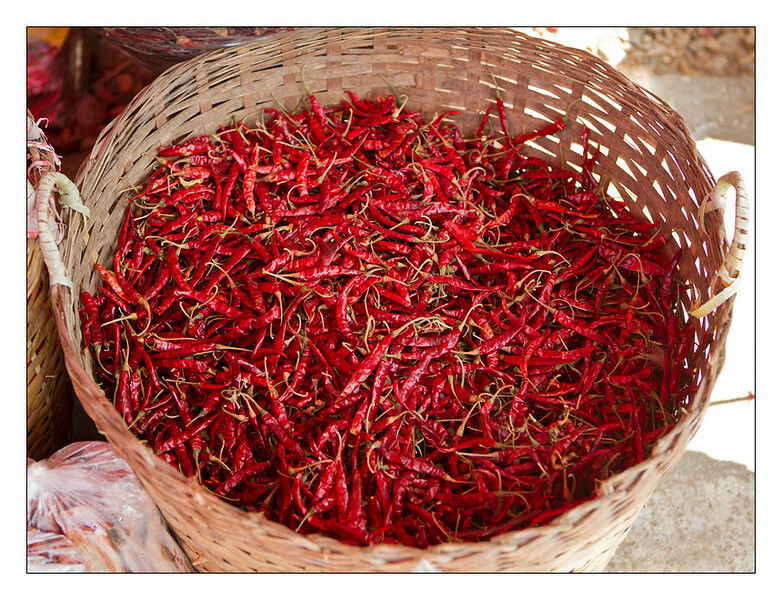 Today is our last full day in Chiang Mai and we had another bike trip planned. The first trip was nice in theory but there were so many logistical issues that it was not terribly fun so we were suitably skeptical about today's activities. We were, in usual form, picked up early and were pleased to discover that it was only going to be the three of us. This was already an improvement over the previous trip where we had to wait for a lot of other people who could not keep up. 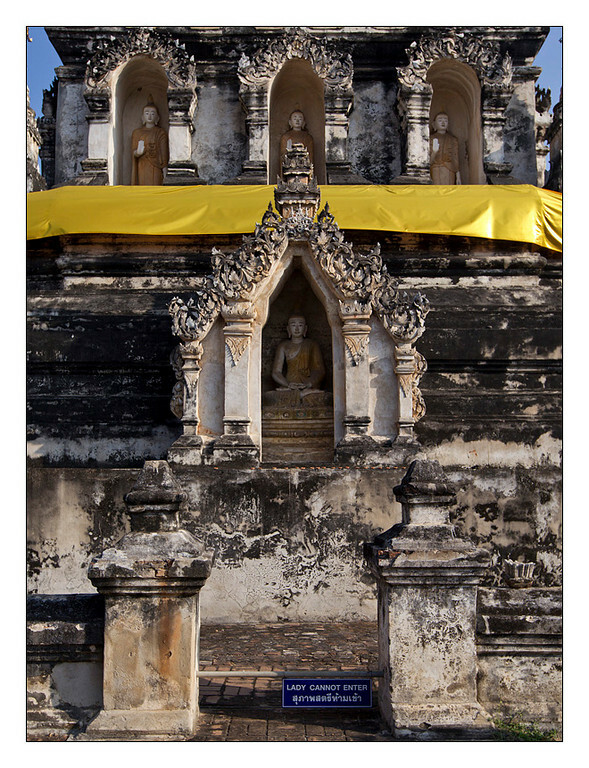 Then it was a short drive south of Chiang Mai where we stopped at a temple to get on our bikes and start the ride. The chedi at our starting point, we were informed that it is a Burmese-style structure and you can tell because it is stacked squares or rectangles whereas Thai-style chedis have more than four sides or are round. We fine tuned the adjustments to our bikes and set off with Mr. Win leading and Mr. Bon following. Mr. Bon, we were informed, has done as most Thai men and spent some time in the monestary. In fact, although being somewhat girl crazy now, he spent six years as a monk and was therefore well equipped to answer our questions at Thai Buddhism. It ended up being the most informative day we've had and I now know much more about Thai culture than I did twenty-four hours ago. 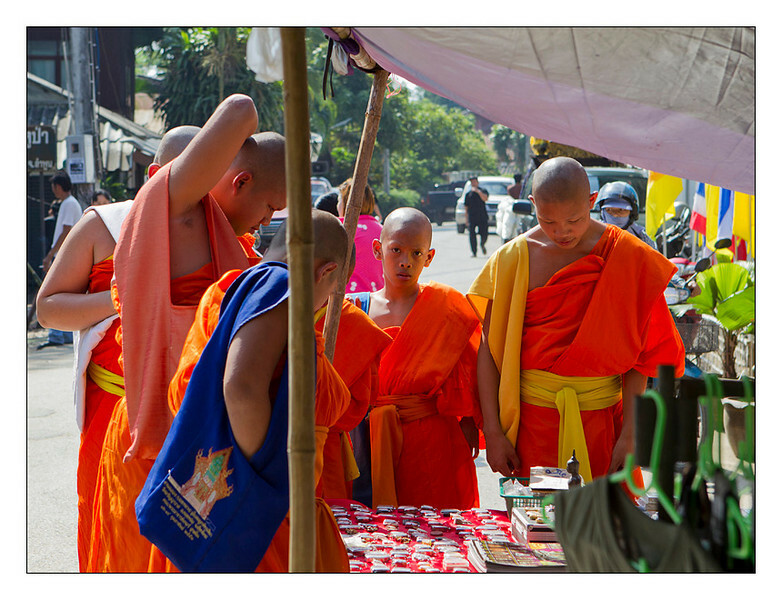 Young monks at the market. 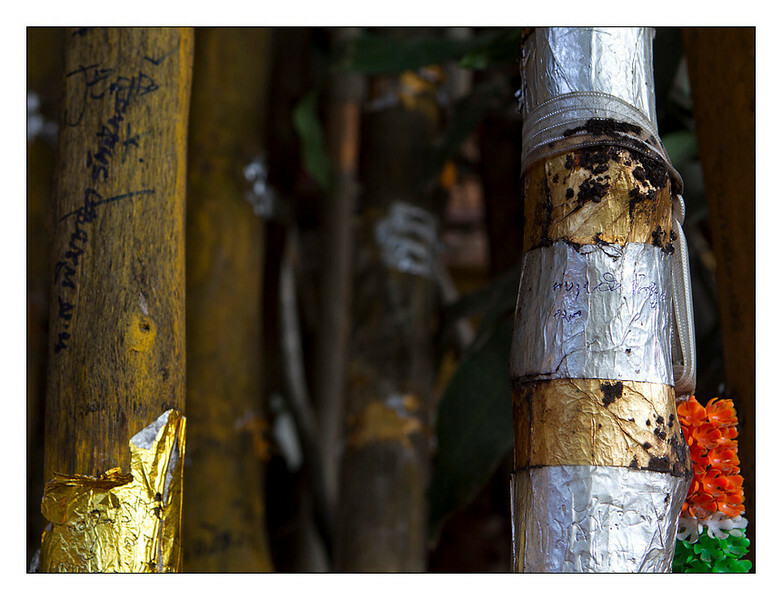 These decorative poles surround a bodhi tree that are literal and figurative support for the Buddha. We rode through the countryside past fields of basil and peppers and orchards of papayas, coconut trees, bananas and countless other fruits. Along the way we rode through a market and Mr. Win, a voracious eater, needed to stop for fried bananas, friend pumpkin, roasted hazelnuts, fresh jackfruit and assorted other snacks that he shared with us. 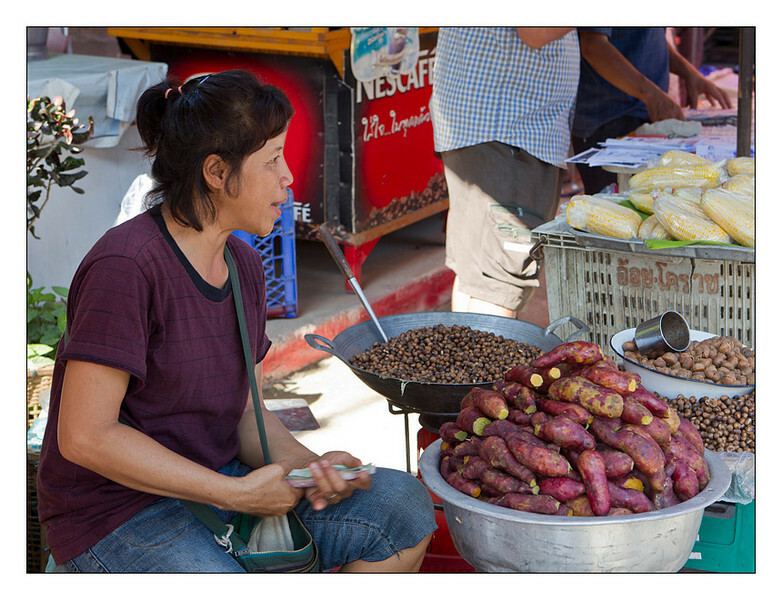 A lady selling boiled sweet potatoes. 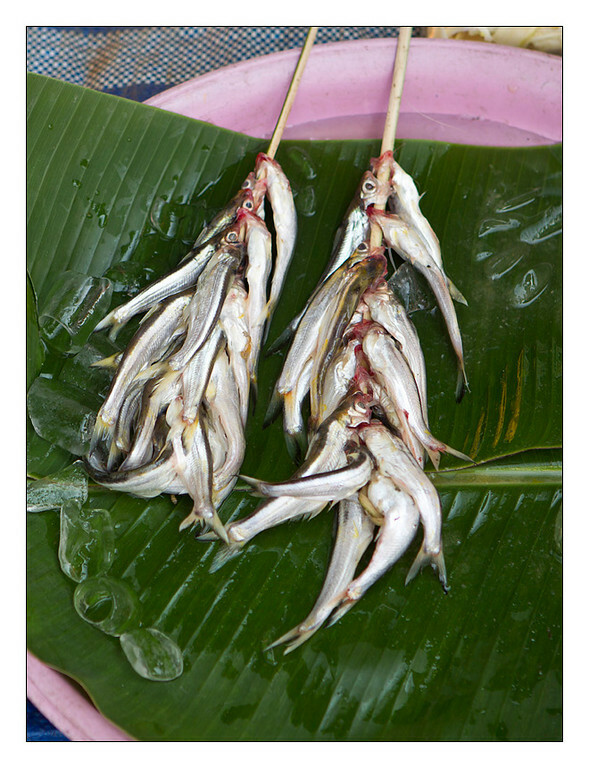 Little fish, I wonder if these are the kind used for making fish sauce. 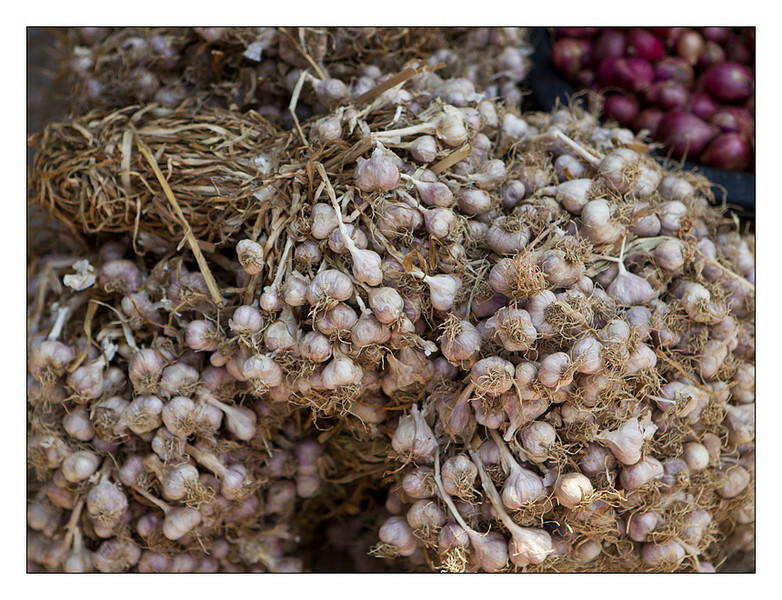 Garlic, tons and tons of garlic! 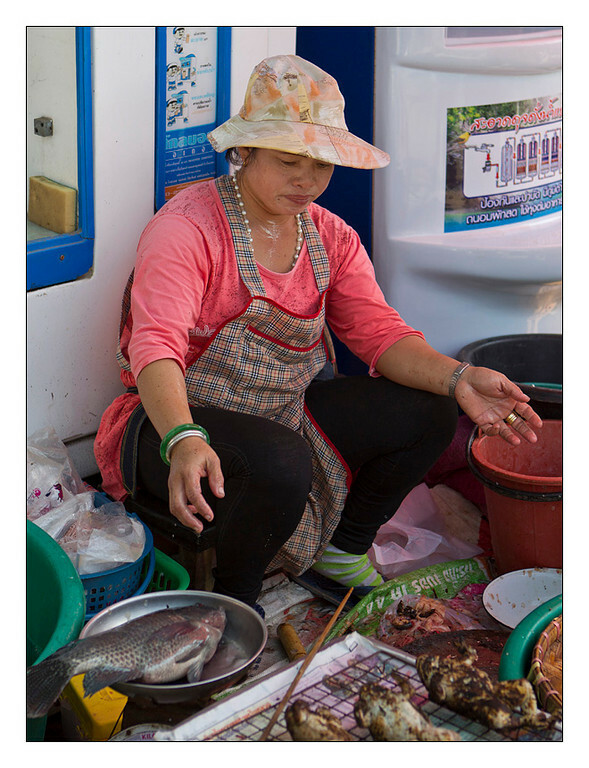 After leaving the market we made our way towards Lamphun, a once great Mon city that is now something of a sister-city to Chiang Mai. 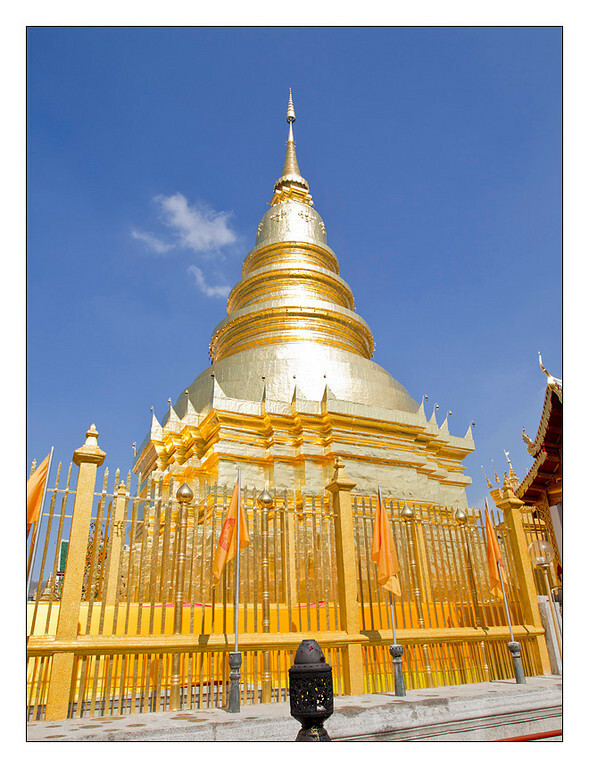 Our ultimate destination was Wat Phra That Haripunchai and then lunch before heading back into Chiang Mai. 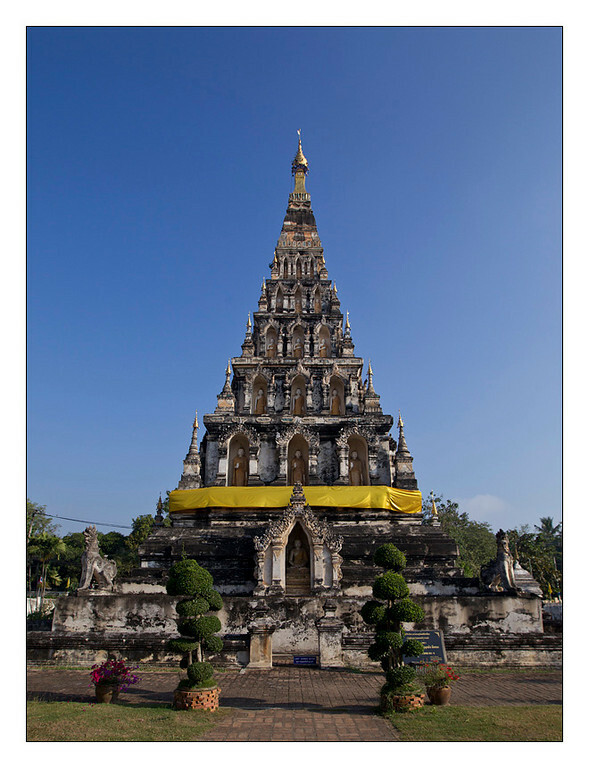 The new chedi at Wat Phra That Haripunchai. 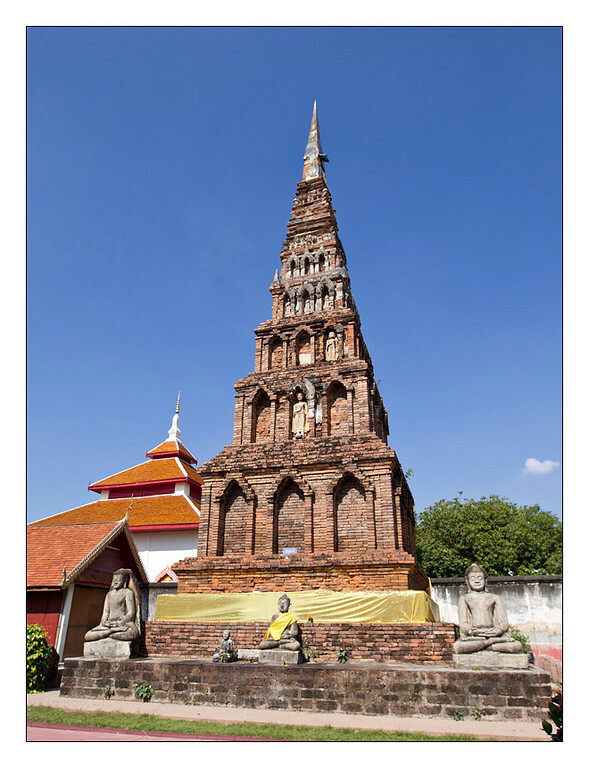 The old Chedi at Wat Phra That Haripunchai and apparently the only structure that survived a terrible flood. 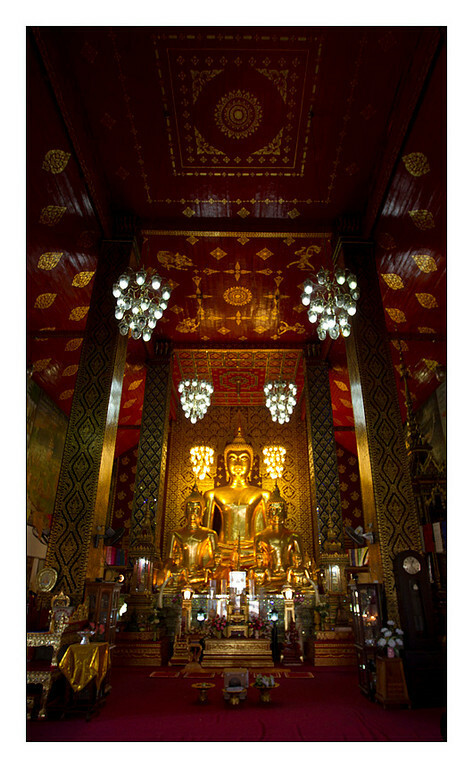 Inside the temple at Wat Phra That Haripunchai.